I am a psychic. Or I must be considering the circumstances. 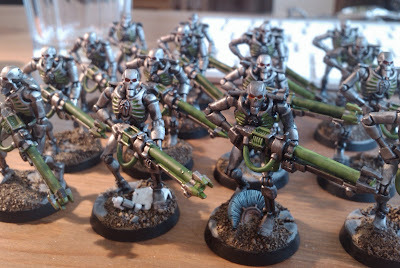 Beasts Of War recently released leaked pictures of the new Necrons, out the 5:th of november *pause for happy dance*, and looking at the new plastic Immortals gives me enough proof that I am indeed psychic. These ones were made about about a year ago. A head and a half taller but the ones in the leaked pictures are posed on standard 25 mm bases. I'm thinking I might go att my local GW and play a little prank. "Hey guys, I got mine early!" And just to show you that that I am in fact doing new stuff and not only sending Dreadfleet ships to Johan, you get this. 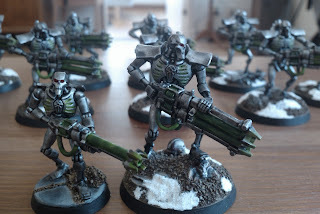 Sixteen new warriors, bringing the total up to 60. 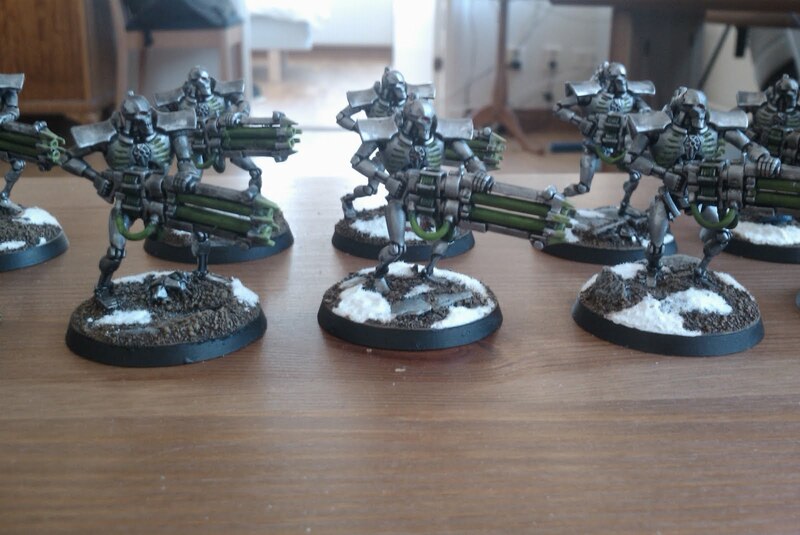 Hopefully the new Necron Codex will allow for them all to be used outside of Apocalypse. The staff at GW will be so surprised! Your big guy look just like the new ones. Warriors, warriors, warriors there could never be to many warriors. Troops should always be the core of every army. More troops to the people!